The discovery of the rotted corpse of a 67-year-old man who had been kept in his girlfriend’s house for more than 18 months was prompted by a 911 call from a family member who grew concerned after not being able to contact him, police in Michigan say. 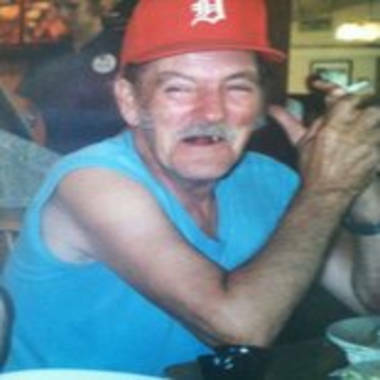 A recording of the 911 call, provided by the Jackson County Sheriff’s Office and posted on mlive.com, gives a glimpse of relatives' increasing concern over the fate of Charles Zigler. It turned out Charles Zigler wasn’t gone – his mummified body, covered by blankets, was found lying in a cloth recliner chair in the living room of his longtime companion, Linda Chase. Police believe he died around Christmas 2010 and his body had been left decaying in the house since that time. An autopsy concluded Zigler died of natural causes -- chronic obstructive pulmonary disease. Chase, 72, told WILX-TV: "He just went to sleep." She said that she didn’t want to part with her good friend. But authorities say there could be another reason for not reporting Zigler’s death: Chase could be facing felony fraud charges for allegedly cashing his benefit checks, according to police. Chase has admitted to cashing her friend’s benefit checks and figures she’ll likely go to prison, mlive.com reported. Jackson police Lt. Chris Simpson said Thursday that police are still poring through financial records to determine the total amount of Zigler’s benefit checks that were fraudulently cashed. “We have to go back from the time to death to investigate some monetary fraudulent activity. That’s going to take a lot of time,“ he told msnbc.com. It’s unclear if Chase broke any laws concerning failure to report a dead body. “We haven’t found any modern law that pertains to this situation,” said Mark Blumer, Jackson County chief assistant prosecutor. “If something was a crime under common law and there’s no modern equivalent you can still prosecute it as felony,” he said. Blumer said his office was awaiting the final police report before making any charging decisions. “We have made no determination at this point what type of prosecution, if any, will result in this case. It’s too unusual a situation to shoot from the hip,” he said. Simpson said there had been no previous police incidents at Chase’s house, and it’s not known how long Zigler’s body would have gone undetected had it not been for the niece’s 911 call. Walter Zigler told mlive.com he tried more than once to visit his ailing father, who he said was a smoker, used an oxygen tank and had lung problems, but Chase wouldn't let him. Zigler’s body was turned over to family members for burial. Simpson said the case is unlike any other his department has dealt with.